Women are twice as likely to order soup for lunch as men. 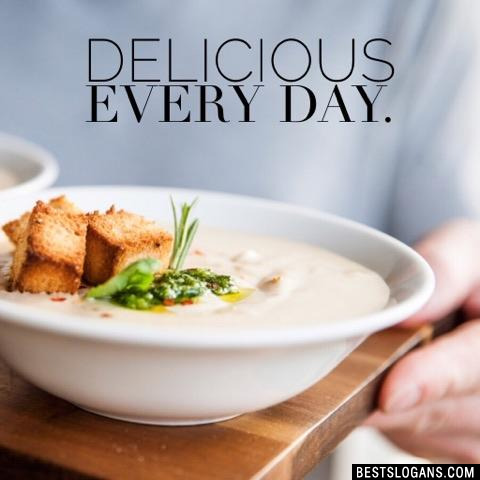 Americans eat more than 10 billion bowls of soup each year. 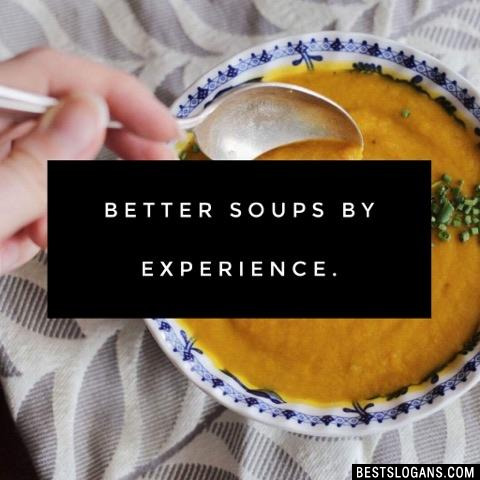 The Campbell Company was the first to invent condensed soup, introducing it to the world in 1897. In 1962, Andy Warhol created the now-famous painting of 32 Campbell Soup cans. It has been suggested that this piece was his favorite work. 2 Homemade without the hard labour. 3 Cook smarter with Soup Starter. 5 Homemade without the hassle. 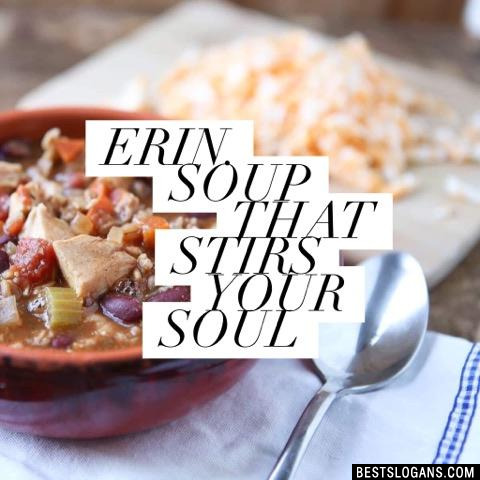 6 Soup from the heart, not from a can. 7 From all across Britain. 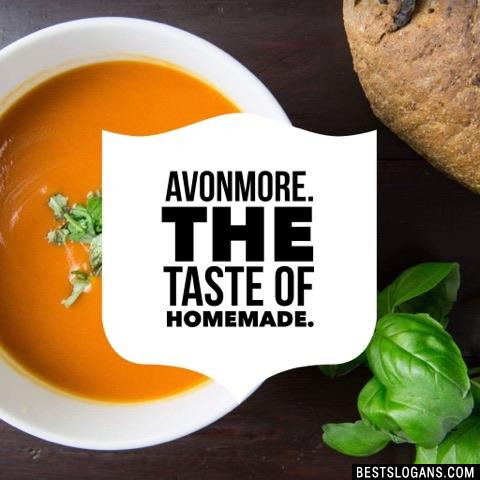 Avonmore. The taste of homemade. 10 Soup so good... you'll call it dinner! 12 One of the better things about the British winter. 13 Keep your tummy quiet with a Batchelors Cup a Soup. 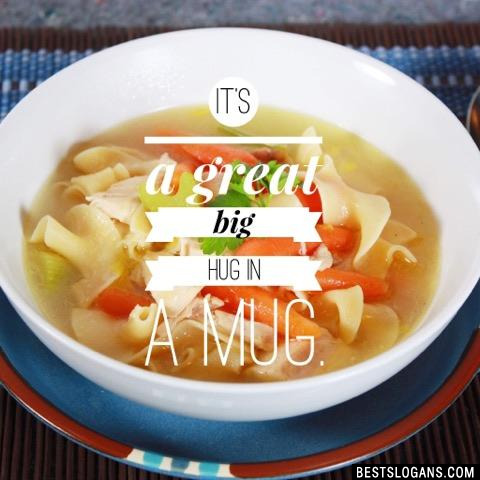 It's a great big hug in a mug. 15 No artificial colours or preservatives. 16 Fresh from our kitchen to yours. 17 The seasons make our soups. 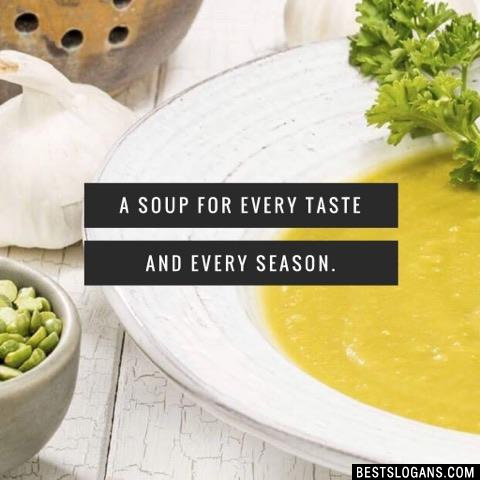 A soup for every taste and every season. 19 The taste that beat Campbell's 2 to 1. 20 You never had soup so good so fast. 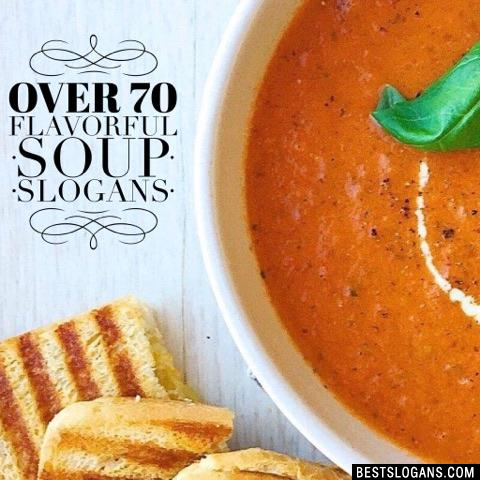 Can you think of a good Soup Slogans we're missing? Or come up with a clever one of your own. Please share below.